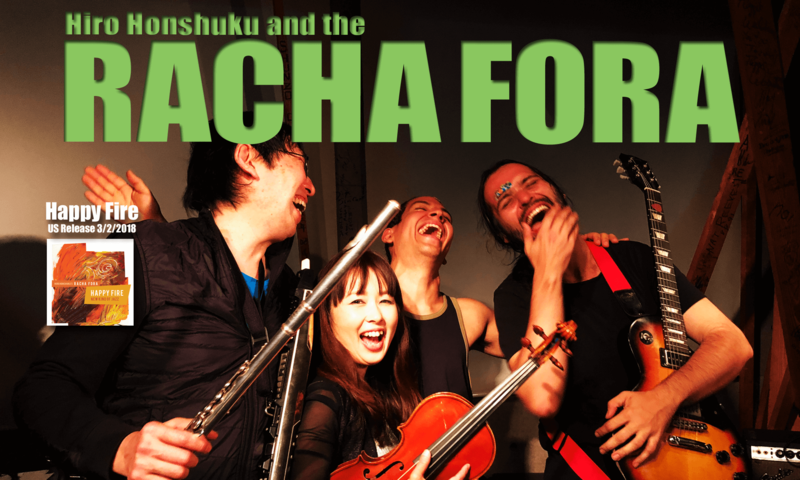 Published Date: Sunday, February 7, 2016 Go to source: Racha Fora – Racha S’Miles: Racha Fora Tribute to Miles Racha Fora is a merging of culture, Japanese improvisation with Brazilian rhythms. Those cultures dig into the database with Racha S’Miles: Racha Fora Tribute to Miles (2015), a celebration of the music of Miles Davis. Published Date: Thursday, October 15, 2015 http://lance-bebopspokenhere.blogspot.co.uk/2015/10/cd-review-racha-fora-racha-smiles.html Hiroaki Honshuku (flutes/piccolo/ewi); Rika Ikeda (violin); Mauricio Andrade (guitar); Rafael Russi (bass); Benhur Oliviera (pandeiro) + (on 3 tracks) Dave Liebman (sop sax). (Review by Lance).